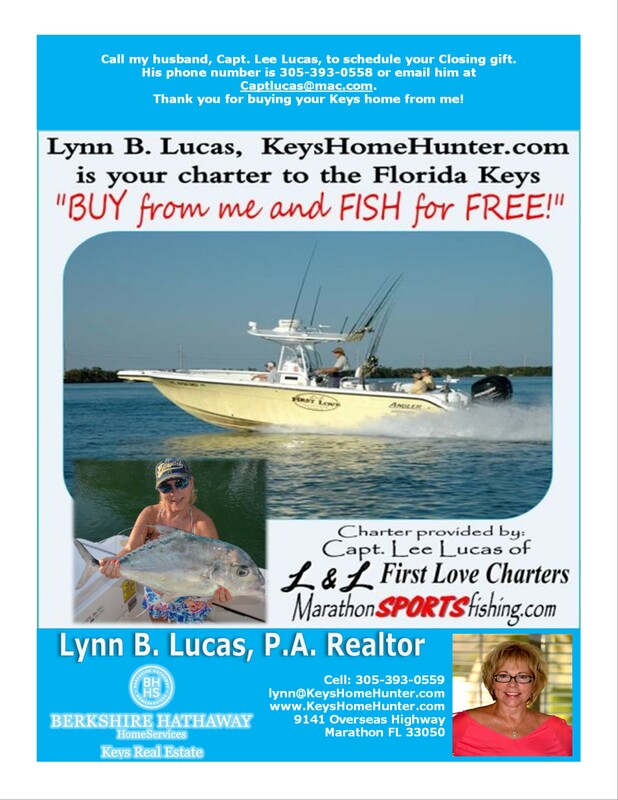 WELCOME to my website and thank you for your interest in real estate in the Florida Keys. Whether you are buying or selling, I will be there to make your real estate transaction an enjoyable experience. BUYING FLORIDA KEYS PROPERTY – Call or e-mail me prior to your arrival in the Keys. I can make your search a pleasant and enjoyable experience by e-mailing you information about property just for you. No need for you to spend hours on the computer searching. I will set you up on our MLS to receive information that will be specific to your needs. We can start looking for that perfect property right away. Once you are set up on auto email, I will be able to keep you up to-date on the ever changing market. Whether you are looking for a full time residence, 2nd home or an investment property, my knowledge of the Keys and 22 years experience as a REALTOR®, will be a tremendous help to you. SELLING FLORIDA KEYS PROPERTY – Marketing is the key to selling your property and that is my goal when you are selling your piece of paradise. I will be there to answer your questions from listing to closing. Advertising your property through the Internet and local ad media will help get your property SOLD. In 2012 I was the #3 Producer in the Middle Keys and #20 from Key Largo to Key West. In 2015 I was the top producer with sales totaling 31 million, then in 2016 and 2017 with a total of $43.6 million made me the top producer for the Middle Keys both years. I feel that my 18 years of experience as a real estate paralegal in Texas before moving to the Florida Keys in 1996 has been a major contributing factor to my success in Real Estate. My love of people and the Keys will make your buying experience the most pleasant you’ve ever had. “First Time Home Buyers” appreciate my knowledge to guide them along the way. The “Real Estate Investors” have found my knowledge of the Keys and the property values to be a tremendous help in their decision of where to invest their money to receive the most return. When I’m not busy marketing a Sellers’ property or finding the Buyer that piece of Paradise, I’m out fishing and enjoying the blue water and sun filled days with my husband, Capt. Lee Lucas, of L & L First Love Charters. You can also visit me at my Facebook Page. CONTACT ME TODAY. Come enjoy all the Florida Keys has to offer.